Perhaps the most overlooked piece of entrepreneurial wisdom is to do your homework. No amount of enthusiasm makes up for research. So, whether it’s starting a business, launching a product, or beginning a project, it pays in the long run to take the time for a bit of investigation—you’ll either be more prepared for the endeavor ahead or will be able to pivot your plan into something more apt to succeed. So how do you go about conducting research? SWOT and PEST analysis are two valuable tools that offer valuable insights into your company and its position in the world. These analyses are meant to provide you with an objective look and the information you need to make informed, mature decisions. If you’re open to using either of these tools but can’t decide which is the most appropriate fit, we’re here to help. Read to discover our own take on SWOT vs PEST analysis and learn how using both SWOT and PEST analysis can help you feel empowered to take on your next project. A full inventory of your internal strengths and weaknesses will show you exactly where to improve and help you understand upcoming challenges. You may need to revisit your strengths and weaknesses after considering them in the context of the external factors influencing your organization. SWOT analysis example: If your best-selling product is a tartan pajama set, but this season, it’s all about lace nightgowns, that’s a market trend that’s likely to influence the success of your company. On our SWOT analysis template, you'd want to mark that under "Threats" and consider how to adapt accordingly. 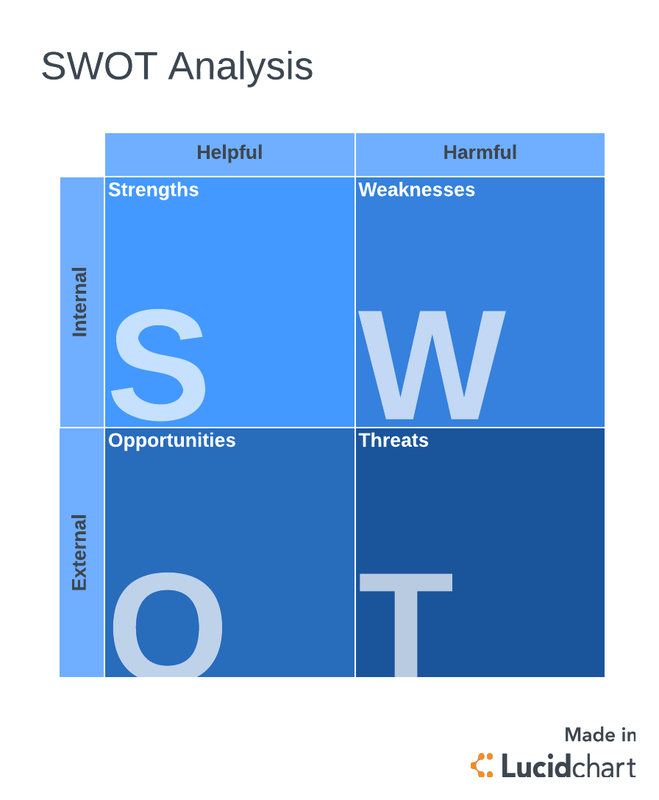 When should you use a SWOT analysis? A SWOT analysis will help you determine your business’s strengths and weaknesses while allowing you to identify opportunities that your company can use to make bigger profits. Use a SWOT analysis when are trying to determine how both internal and external factors that influence your company’s performance. Taking the time to do a SWOT analysis can help you identify and then improve your own internal practices and processes before attempting a new venture. 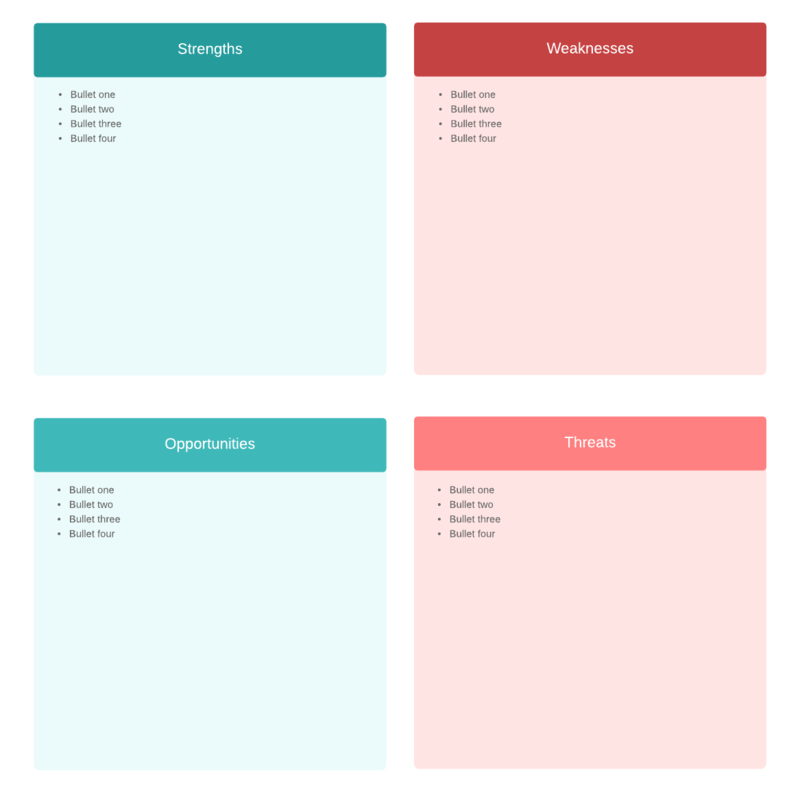 Use our free template to conduct your own SWOT analysis. Some individuals use variations of this analysis, such as PESTLE analysis, with the final two letters representing legal and environmental factors. PEST analysis example: Say that you rely on a certain part that you can only obtain from a company that's located in a country currently experiencing sanctions from your government. It’s worth examining how the loss of that manufacturer could impact your business’s productivity. You would file this concern under "Political" on your PEST analysis template. When should you use a PEST analysis? Use a PEST analysis to evaluate how the decisions your company makes or the direction in which your company wants to move fits in within the very real influencing factors of the outside world. It can identify threats before they impact your company and help you understand when to avoid starting projects that are likely to fail based on external factors. Through a PEST analysis, you’ll be able to make an objective decision about any new venture, especially if it is entering a new country, region, or market. To compare, PEST analysis will only examine external factors that could affect your business (although it will help you think specifically about different areas of interest), while SWOT analysis considers both internal and external factors. 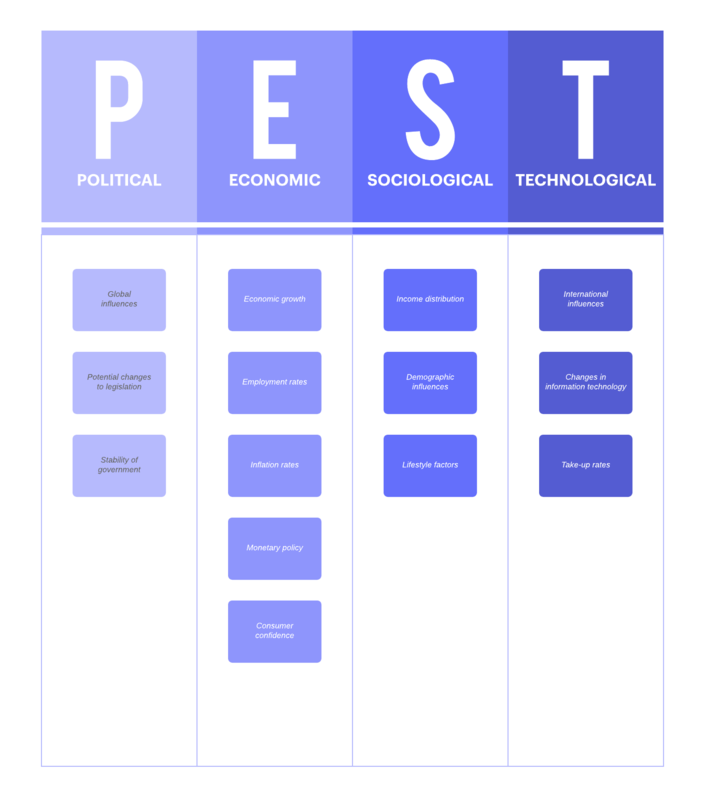 To conduct a PEST analysis, follow our directions and get a free template. SWOT vs PEST: Which is better? The SWOT and PEST analysis styles both have positive and negatives, so the question isn’t so much a matter of which type of analysis is best for your company, but rather how you use the analysis and put its discoveries into practice. Instead of one versus the other, we recommend first conducting a PEST analysis and then conducting a SWOT analysis. That’s right—do both. Here’s why: A PEST analysis will provide you an objective look about the world in which your business exists, and it’s especially useful to understand both your own country and the countries on which you rely to do business. After the PEST analysis is completed, it’s time to conduct a SWOT analysis. This will help you understand your company in context of the outside world, including weaknesses that you may not have considered weaknesses before the PEST analysis. The same can be said of strengths: You may find that what you considered a strength in your own country before conducting a PEST analysis is actually a weakness in a different market. Ready to start your SWOT and PEST analysis? Open a template in Lucidchart. It’s worth going through the task of conducting both analyses before embarking on a new venture, especially if the new venture puts your company at risk. Lucidchart makes the task less arduous because we have templates to help you start quickly, plus you can easily share your document with stakeholders and other team members so everyone can contribute their thoughts and you can reach a decision faster. The more you can foresee potential difficulties and the more honest you are about your own company’s weaknesses, the better you can outperform the competition. A word of warning: The analyses are only as good as the person conducting them and the information at hand. They will not be perfect, and they will not be accurate for years to come. Both SWOT and PEST analysis only provide you relevant information about current environments, which means—steel yourself—you’ll need to conduct more SWOT and PEST analyses in the future. But the better you become at them, the stronger your processes and position in the market will be.